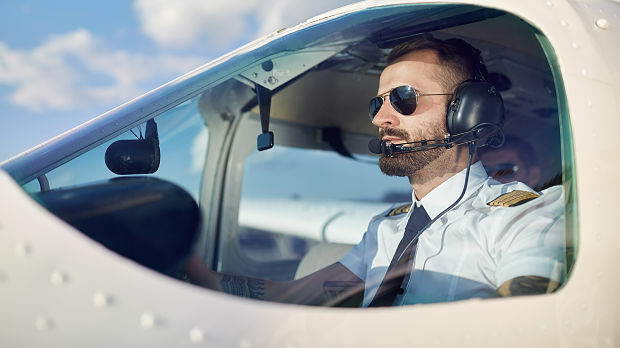 Pilots have a unique set of working conditions, and a recent study suggests that these may increase their risk of melanoma (MM) and nonmelanoma skin cancers (NMSC). The study looked at literature on active-duty military pilots and commercial pilots in order to summarize the various risk factors. The analysis showed that the data is mixed when the focus is on military populations only, but when you add data from commercial pilots, a pilot’s risk for MM may be twice that of matched controls, and the risk for NMSC could be higher. There are several risk factors that are specific to this population. First, UV radiation that comes through the windshield places pilots at greater risk for exposure that can rival that of a tanning bed. Cosmic radiation that can occur at higher altitudes is also a factor of concern, but the evidence is inconclusive. Other factors that may increase risk are the altered circadian rhythms that results from irregular work schedules that are typical of aviation duties. Disrupted circadian rhythms that arise from shift work schedules, can lead to reduced melatonin levels and low levels of melatonin could increase the risk for cancers. Finally, the cockpit instrumentation emits electromagnetic energy that may be a concern. The authors suggest that increased screening and education on the diligent use of sunscreen and sun-protective measures when flying is reasonable based on the available data.